Thunderstorms brought heavy rains, strong winds and fresh flooding to the desert state of Qatar on Sunday for the second time in less than a month, as bad weather battered the region claiming lives. Some areas of Qatar received almost half-a-year's worth of rainfall in just a few hours as thunderstorms struck, said the Qatar Meteorology Department (QMD). 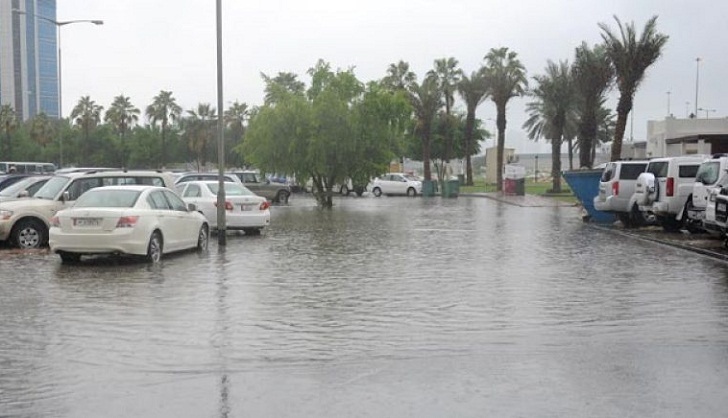 It said a northwestern part of the country received almost 31 mm (more than an inch) of rainfall, compared to the emirate's annual rainfall of 77 mm. Roads flooded and workers were seen mopping up inside office buildings. The QMD had warned residents to stay indoors ahead of the rain and "to take extra care during thunderstorms". Further thunderstorms are forecast later in the week. Sunday's weather was not as extreme as last month when Qatar was hit by floods which saw more than a year's rain in one day. Roads became impassable, air traffic was disrupted and homes were flooded. Bad weather has hit several countries in the region, including Jordan where 12 people were killed and nearly 4,000 tourists forced to flee the famed ancient desert city of Petra. On Sunday, hundreds of rescuers from Jordan's civil defence, backed by troops and other security forces were still searching for a Jordanian girl missing south of the capital Amman since Friday's flooding. Flash floods also hit Kuwait on Saturday, killing a man and causing damage to roads, bridges and homes.